In my years of practice I have read and heard the instructions given for meditation posture many times: how to sit and what to do with the hands, the eyes, the tongue, and, of course, with the spine and the breath. Some years ago I read one instruction in a book that I had not read or heard of before. The book is titled Meditation at Nan Hua (Nan Hua is the name of a South African monastery in the Chinese Ch’an School lineage) and was written by the temple’s teacher Huei Re. Keep a smile on your face. A kindly expression prevents the mind from being hard and cold. An unhappy mind cannot be easily calmed. Therefore smiling reduces stress. You may wish to try it. I found it beneficial. I typically find myself doing this at least once per sit, when my attention is on face or mouth. I do it subtly though and not like a broad smile. I first heard of this from TNH. Thanks, Clyde. My Ch'an teacher Sheng Yen also introduced this suggestion in his Beginner's Classes. His words (translated) were to "maintain a 'half-smile' " while sitting. I think that the "maintaining" of it is/was not as important as starting a period of sitting that way. As the period goes on, naturally, everything relaxes, and that should include especially all the 43 muscles of the face ("If the head and neck can relax, then all the body can relax": his words also). But I think those face muscles should not happen to unexpectedly or automatically reverse themselves to form a frown! There has actually been some research on mirror neuron reactions in the brain. When we feel happy, we smile. However, when the muscles on the face form a smile, the brain also interprets this as "I must be happy" and feels so! I sometimes sit with the facial equanimity and subtle positivity and acceptance of a Buddha's slightly upturned smile. Glad I am here to learn something new. 7. Smile. Keep a smile on your face. A kindly expression prevents the mind from being hard and cold. An unhappy mind cannot be easily calmed. Therefore smiling reduces stress. This is not an uncommon suggestion/instruction for newcomers. I recall that Vietnamese Thien Master Thich Nhat Hanh recommends that practitioners keep a "half-smile" on the face while they sit (and as they walk kinhin). It may rouse the sitter's spirit, for those beginning the practice, to help them to ...continue. An economical bolster! Free of charge... . A bargain at twice the price. p.s. 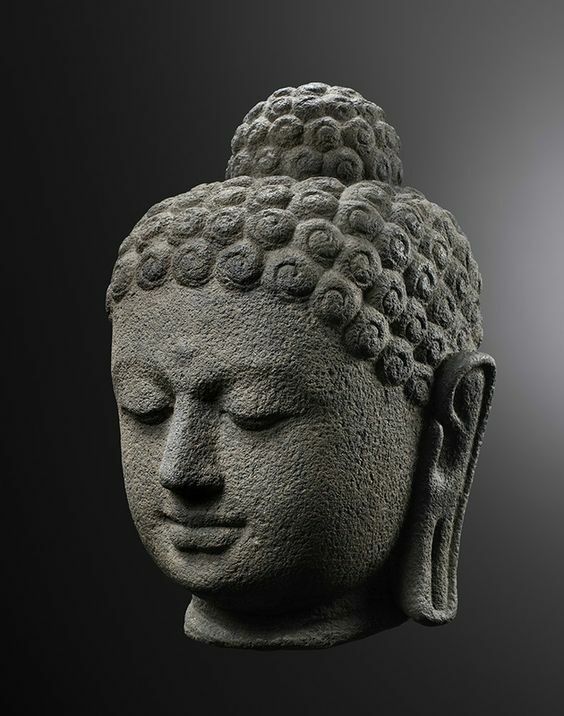 Look at the face of any Buddha statue; there are no hard glares, no frowns. But there are many half-smiles. Now, many half-smiles added-up and multiplied by two are many smiles. And, why not? A Buddha is ...Awake.